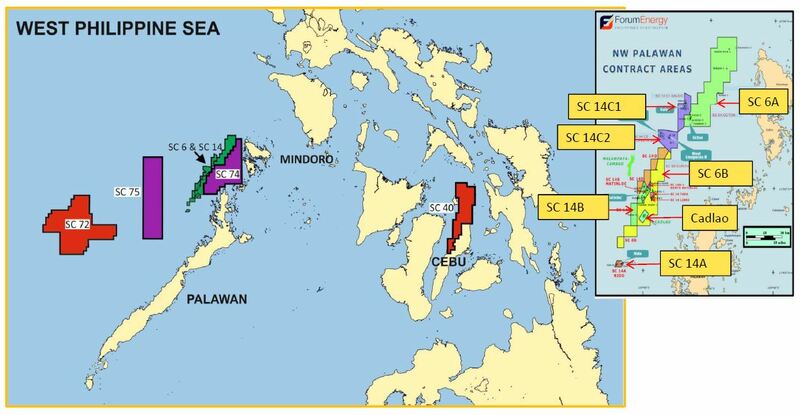 North Sydney, Australia--(Newsfile Corp. - January 4, 2019) - FEC RESOURCES INC. (OTC Pink: FECOF) ("FEC") provides the attached map to aid shareholders in gaining an understanding of the relevant geographical location of the various Philippine oil and gas properties in which FEC has an interest in at December 31, 2018 through its 6.8% shareholding in Forum Energy Limited. The map also shows two properties, SC 74 and SC 75, in which FEC's parent company, PXP Energy Corporation holds a direct interest in. NB: SC74 and SC75 are properties in which PXP has a direct interest , Forum Energy has a direct interest in all the other properties shown on this diagram.